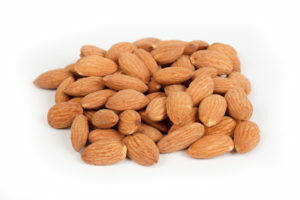 Today the Almond Board released the October shipment figures at a very impressive 247.11 mm lbs – much above expectations. This is 0.3% from last October and now sets the bar as an all-time record for the industry. Domestic shipments were stellar, up 6.7% at 68.18 mm lbs while export shipments were down 2.0% at 178.93 mm lbs. China shipments are down 8.74 mm lbs, down 25% for the month and 31% for the year. Vietnam shipments are up 5.94 mm lbs, up 74% for the month and up 31% for the year. India shipments are down 2.86 mm lbs, down 10% for the month although still up 3% on the year. Western Europe is up 5.11 mm lbs, up 9% for the month and down 5% for the year. The Middle East is still under performing, down 7.19 mm lbs for the month and down 43% on the year. Possibly the most predictable parts of the report were easily anticipated, however, China and Vietnam performed much better than anticipated leaving the region down approximately 3 million lbs down for the month. Obviously the grey market channel seems to be mostly alive and well with few hindrances. India, though anticipated, was weaker during October. With Diwali behind them prices quickly capitulated and confidence wavered. Europe, who up to the report was still fixated on nearby shipments, has continued to improve performance. Ahead of the report shipments were expected to be the nuance of the report. To buyers dismay, new commitments stole the limelight at a staggering 276.5 million lbs! However, despite the staggering figures, commitments and shipments still lag behind historical averages and are actually more in line with the infamous 2015 crop year pace. Nonetheless we would be foolish to say that the hand-to-mouth momentum has seemingly favoured growers, mostly. Recent crop size conversations have focused on poor crop yields. The crop size potential is now rumoured to be in the 2.30-2.35 bb lb range, perhaps still too early for consensus. This has not yet been reflected in any receipt figures to date. In fact receipts during October were an impressive 720 million lbs. Larger sized huller and shellers mostly expected the heavy receipts, saying with the exception of the late crop and a few stick tights the crop has been hulled and shelled very quickly. Generally it does seem the hulling season is wrapping up faster than normal. Overall looking into receipts by variety there aren’t too many surprises. Moving forward it’s hard not to see a hearty November shipment report. The question again remains: how will sales be for the month? If confidence is reciprocated from buyers we might see a surge of demand to book up through the end of the year. In fact, domestic buyers appear to be on the heels of last year’s commitments and shipments slightly ahead. It’s the export buyers who’s currencies, economies, and trade norms have been volatile that behind. Prices have largely been flat during October and only very recently showed signs of wavering. In fact, coming into the month (and last month for that matter) it appeared prices were hanging on (perhaps by a string) – this report will reinforce seller confidence. Prior to the release of the report standard 5% were trading near $2.35, Cal SSR 27/30 $2.50-3, NPX 23/25 $2.96-98 and Nonpareil inshell around $2.10/lb.